Buy now - Barcode for products without fees, and without annuities. 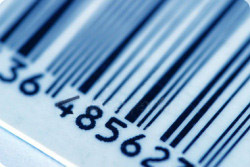 Barcode for identification of commercial products, issued by Digital Codes, without tuition, monthly fees or annuities. Barcode ready for use in digital image format in TIF, JPG, EPS files accompanied by their digital certificate. Ready to be used in the production of packaging, labels and labels. 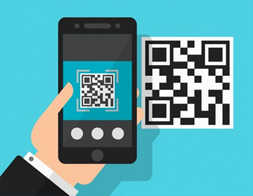 Barcodes are provided with authentication codes for reading on mobile devices with Internet access, with real-time search on Digital Codes.org. Allows the customer to obtain the barcode number, barcode registration date, product name, barcode user name and barcode status (active or inactive). For barcode orders for products. Exclusivity Digital Codes. - Preliminary instructions for use. To manipulate arquivos das imagens two barcodes não é necessário acquire special software, sendo possível use or software that já possui as, Corel Draw, Adobe Illustrator, Word, Pimaco Label Assistant among others. 3. How many barcodes do I need? The amount of barcode is determined by the amount of products considered different for the final customer, taking into account sizes, weights, colors, etc. And not because of the amount of production of each product. Thus, if a company has 5 different types of products, 5 barcodes must be purchased. If a company has 5 types of products, but for each product there are 2 variants (weight, size or color) 10 barcodes will be needed (5 x 2 = 10). The barcodes are released together with the digital certificate and the serial number. The numerical list must be filled in with the data of your product and return to the association of the bar code with the product. And why choose the Digital Codes? Because all bar codes are exclusive and directly associated with the buyer. Because all bar codes are supplied ready for the user or to send the graph of your choice. Because barcodes are accompanied by a digital certificate. Because the whole process of registering and issuing bar codes is electronic. Because barcodes are supplied without tuition fees, without annuities and without loan agreement. Because the barcodes are supplied in the amount you need and with a single payment. Because barcodes are delivered within 1 business day. Payment: Paypal. When you make the payment, you are retained and only released when you receive and are satisfied with the bar codes. Guarantee of cancellation of the order in 7 days after the release.